The 1930 Ford A Snowmobile is back from the restoration shop and in the museum ready for visitors to view. 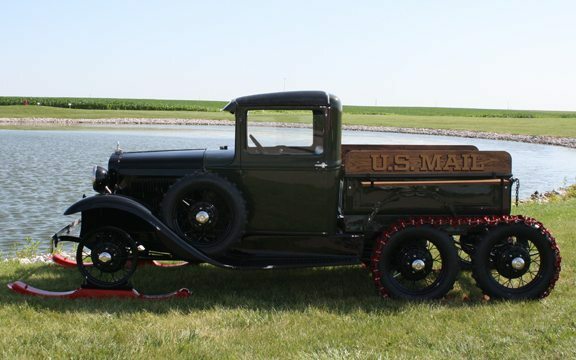 Come see this truck along with many others on display. – Top speed- 45 MPH with tires. This 1930 Ford “A” snowmobile paved the way with its innovative skis and mechanical brakes. It was frequently used to get the mail through when the heavier trucks were stuck in snow. The frame was also used as a model “A” car.